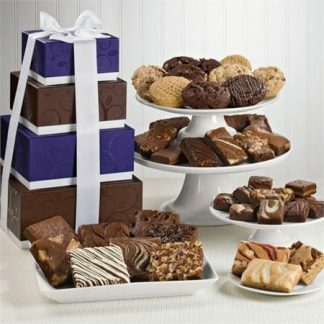 Get ready to taste the sweet life with our colorful California Delicious tower full of goodies. 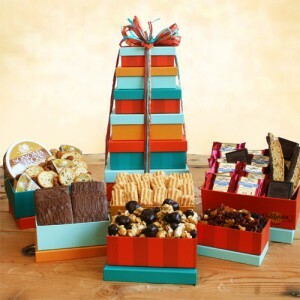 Filled with the sweet and savory tastes from California, each box holds something fabulous. 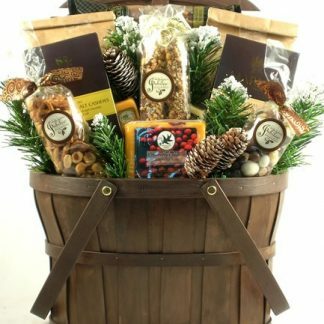 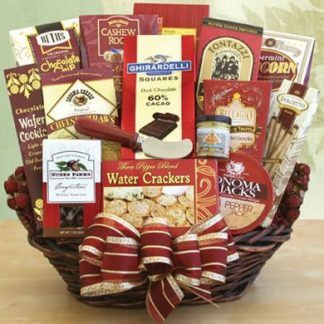 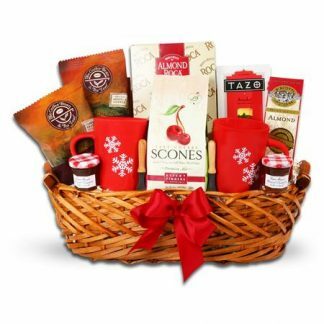 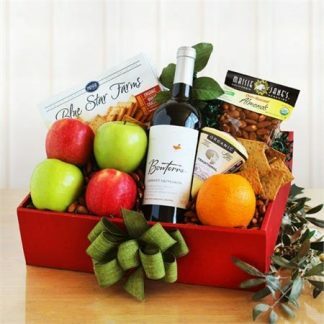 They will love the Sonoma Jacks cheese and crackers, chocolate covered graham crackers, gourmet chocolate drizzled popcorn, sweet butter cookies, biscotti, dried fruit snack mix and Ghirardelli dark chocolate and raspberry squares.